With Extra Strength Against Damages, Architectural Shingles Are Much More Durable than Traditional Shingles. The creation of architectural shingles marked a major step in the right direction for today’s roofing systems. 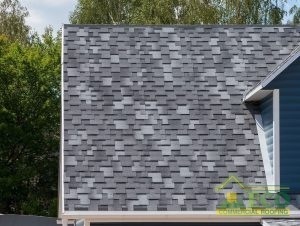 Top-tier design capacities stand as a single improvement of these shingles, which are a unique product totally dissimilar from standard asphalt shingles. ECO Commercial Roofing strongly advocates for architectural shingles as a perfect answer for practically all property owners in need of a new roof for their house or business. Architectural shingles benefit a great deal from peerless installation services, which we offer at ECO Commercial Roofing. You almost will not find better than architectural shingles when it comes to effectiveness in a roof. Accentuated durability represents just one of the many benefits architectural shingles, also called dimensional, laminate, or composite shingles, offer over the usual variety. Contact our team now at (833) 200-0571 to make inquiries or set up service of architectural shingles in Texas, Louisiana, and Mississippi. A home and homeowner can gain many advantages with an architectural shingle roof. The fine team members at ECO Commercial Roofing try their best to inform patrons of any benefits associated with their elected roofing. A choice of architectural shingles will supply your home with the following advantages. 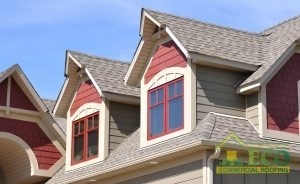 Architectural Shingles Look Wonderful On Residential Homes As Well! An architectural shingle roof is cheaper than other luxury selections such as slate shingles or cedar shake. When compared to standard shingles, architectural-grade shingles have higher durability to account for the increased expenditure. Reduced service expenditures will permit architectural shingles to account for the higher cost over the years. Durability issues might occur with your average shingle roofs, as they typically only have one blanket of roofing installed on the decking. Several layers go into the creation of an architectural shingle roof. While standard shingle systems only become rated for winds up to 80 mph, the architectural variety will take winds of 120 mph. Aside from an abundance of styles and colors, manufacturers even create architectural shingle options that provide the look of other roofing materials. The homeowner who goes with these shingles can also count on less maintenance than required with alternative roofing materials. Your selection of roofing materials for your restored roofing system presents a wide influence on the cost. Architectural shingle options offset their raised cost through fewer repair requirements and more resistance to wear. Give us a ring at (833) 200-0571 when you have any further inquiries about the advantages that these shingles will bring to your home. ECO Commercial Roofing sets the bar for the service of architectural shingles in Texas, Louisiana, and Mississippi.